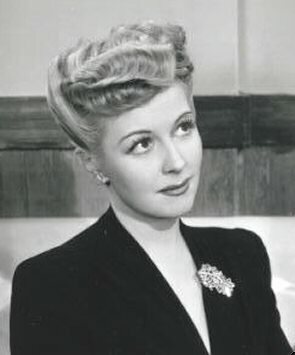 Christine (at left) as "Bea" in a detail from a publicity still for CRIME ON THEIR HANDS (1948). This was the comedy short where she enticed Shemp Howard over to the couch when she thought he was a cop and not a reporter. Then she watched as he popped mints into his mouth -- and swallowed a diamond. 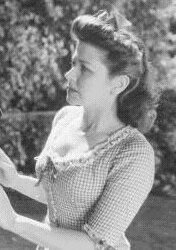 Christine (above) as "Princess Elaine" in 1954's KNUTZY KNIGHTS the remake of SQUAREHEADS OF THE ROUND TABLE (1948). This would be one of the last publicity shots that Christine would ever pose for on the Columbia lot. 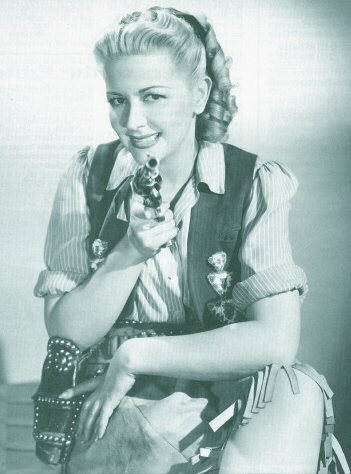 She retired from films shortly afterward. 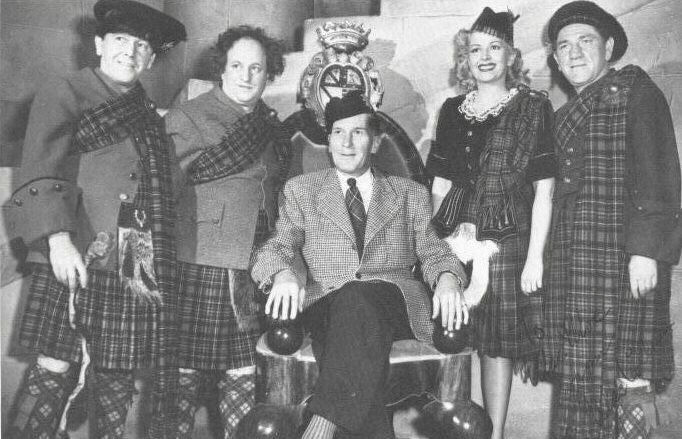 Christine McIntyre on the set of THE HOT SCOTS (1948) with Moe Howard, Larry Fine, Shemp Howard, and their producer Hugh McCollum (seated). 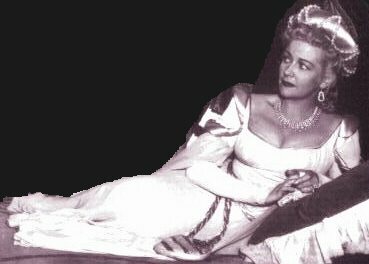 Please sign the Guestbook so I can keep track of Christine McIntyre fans who've visited this site.